Eight Of Hearts In Mars. Destiny Cards Free Reading. 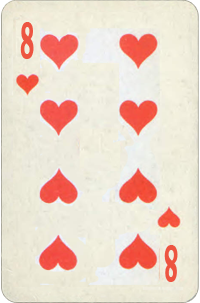 Eight Of Hearts Basic Meaning: Emotional power, charm. Success dealing with people. Healing energy. Power to get your way with people.